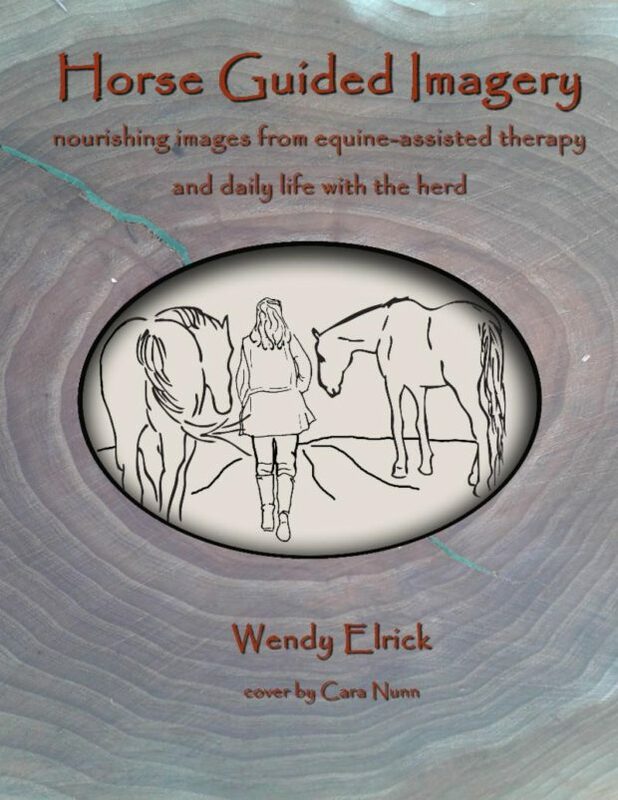 Connecting with the Horses Internally | The Equine Connection Coaching Services Ltd. It has been a year of extreme weather. One of the consequences of this for our work here at The Equine Connection has been holding more of the therapy sessions indoors than we normally would. Often, when we hold a therapy session indoors, we still invite our clients to check-in with the horses. After turning inwards with some deep breathing, and bringing a focus to the body, we suggest each woman ask one, or more members of the herd to come to them and offer support, and mentoring. The imagery the women receive is always powerful. The absence of the physicality of the horses seems to offer a greater purity of communication between the women, and the spirit of each of the horses. By communicating with the horses with one’s eyes closed, there is a greater breadth of imagery, as well as other forms of communication, possible. It is also possible for the horses to provide images that they could not offer in their physical form. For instance, not long ago a woman received an image of one of the horses standing on her in a loving manner. The woman immediately understood the message as one of grounding, of the need to address her scattered energy. Of course, if this image had played out physically, the woman might not of survived such an interaction! I am reminded that anything is possible in the imagination. By shutting our eyes, we limit the impact of our senses on our perception. 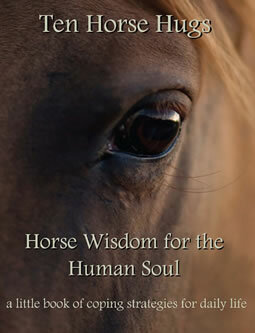 We are able to communicate with the wisdom of our inner worlds, with our subconscious, and with other forms of consciousness, such as the horses. It is so incredibly simple. Just like breathing. It too is so powerful, and yet so natural that we do not even think about everything breathing does for us. We often forget to apply our breath as a conscious coping skill. North American popular culture has socialized us to believe that it is the complicated that is most valuable. However, in my work with the horses, I have become convinced that this is not so. Similarly, Mother Nature regularly provides exactly what we need at the right time. Just before it gets cold, the wild elderberry bushes are loaded with fresh elderberries. These berries offer all sorts of health benefits to strengthen our systems as we go into the cold weather. We can re-train ourselves and undo our socialization by looking for what is already in our lives, part of our daily existence. What is already part of who we are and immediately available to us? Many of our internal resources, like our feelings, intuition and imagination are just waiting for us to attend consciously to them and help us strengthen our relationship with ourselves.